Dhoni's much-vaunted finishing skills are under scrutiny but Rohit said the former captain has it in him to continue being useful with the bat. Veteran wicketkeeper-batsman Mahendra Singh Dhoni's indifferent form has come under the scanner in recent times but India vice-captain Rohit Sharma Thursday backed him to the hilt, saying he will play a pivotal role in the ICC World Cup 2019. Rohit said besides his finishing abilities, Dhoni's mere presence lends calmness to the team, especially youngsters, and that would be crucial in a big tournament like the World Cup, which starts May 30 in England. "Over the years we have seen what sort of presence he (Dhoni) has in the dressing room and on the field. With him being around, there is a sense of calmness in the group, which is very important, and also a bit of help to the captain because he stands behind the stumps," Rohit said ahead of the first ODI against Australia on Saturday. "He has captained India for so many years and been successful. So him being around with the team always is helpful. He is like a guiding light around the group," he said. "...batting down the order, getting us through the line, his finishing touch is very important and he has finished so many games for us. His calmness and advice, what he thinks about the game and what we should do right now is very important. "His presence around the group is a massive factor for us," said the 31-year-old right handed batsman. Rohit said young bowlers like Yuzvendra Chahal and Kuldeep Yadav can benefit from Dhoni's presence behind the stumps. 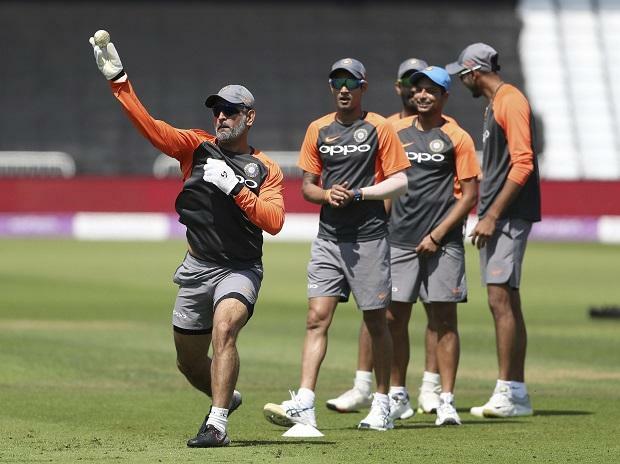 "Chahal and Kuldeep are both doing really well so somebody like Dhoni standing behind the stumps and helping those guys about what the batsman is trying to do, it makes a huge difference I think. "These guys started playing for India in 2017 and since then they have done really well in and outside India. And one of the reasons for that is MS and how he has guided these two guys in the middle about how to keep things tight and field placements. "He has played a massive role ever since the time he has left captaincy," he added.